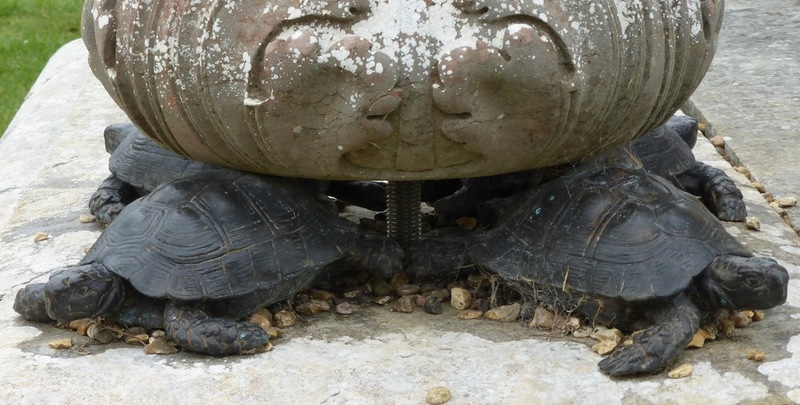 Left: Marochetti's bronze life-size tortoises holding up one of the Italianate urns on the terrace of Kington Lacy. Right: Close-up of the tortoises. Bronze tortoises by Baron Carlo Marochetti (1805-1867), 1853, on the terrace of Kingston Lacy in Dorset. 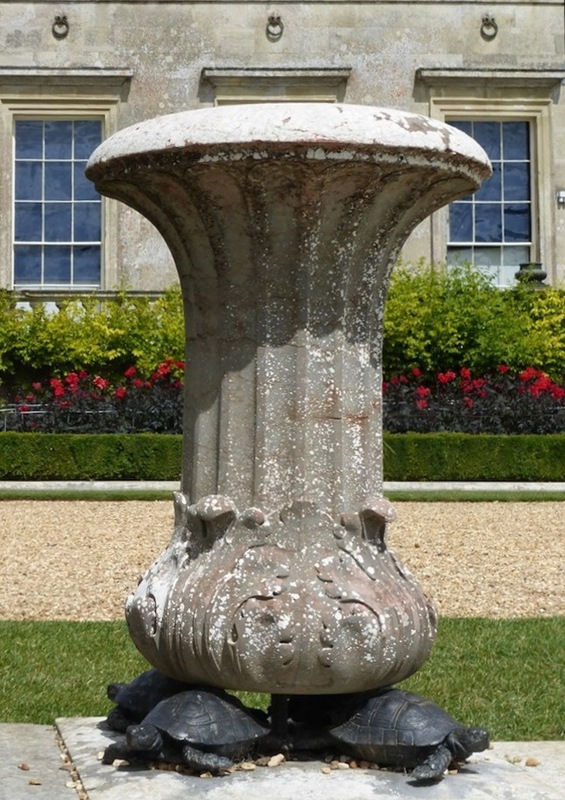 William John Bankes, the current owner of the house, who had had it remodelled by Charles Barry, only took the very best men for his work, but it did occur to him that an important sculptor like Marochetti might soon be too busy to deal with such minor matters as plant-pot holders for outside the house — even if the plant pots in question were marble urns. Yet he loved tortoises, and the commission was given. Marochetti made sixteen of them for him, modelled on Bankes's own pet tortoise. "Think of my carrying a live Tortoise in a bag all the way from the Palais Royal!" Bankes wrote to his sister Anne, Countess of Falmouth, who was looking after the house and gardens for him during his enforced absence, while his brother George managed the estate as a whole. They are, in fact, very realistic and provide yet another proof of Marochetti's versatility! "Kingston Lacy." Historic England. Web. 19 March 2018. "A Passion for Tortoises." The Bankes Archive. Web. 19 March 2018.